A view into our project. Find ancient collectible coins from long-forgotten civilizations! Human centered control! 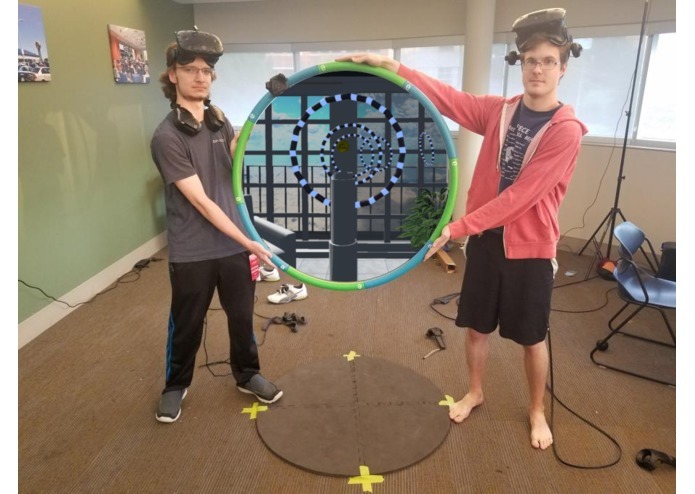 It's the largest reasonably controllable VR input method for a single person with two hands to hold. 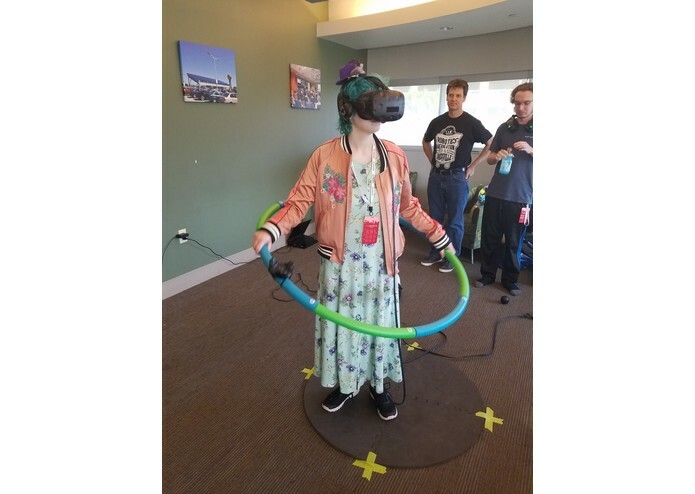 Our project demonstrates how a hula hoop can be used as a viable input method for virtual reality applications and games. 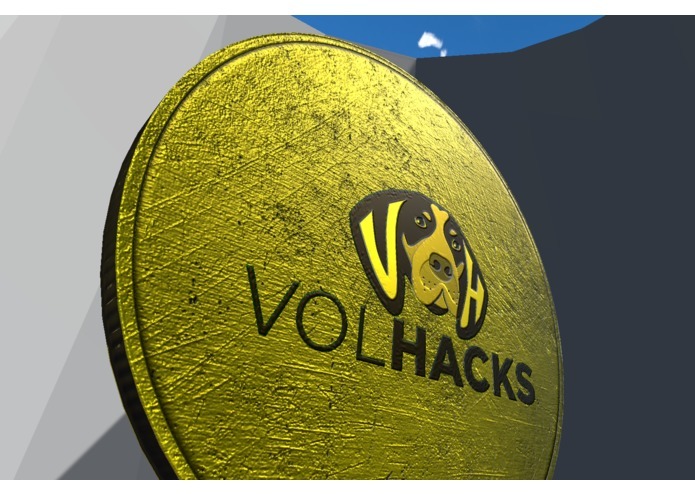 Integrating Unity and SteamVR with the HTC Vive and additional trackers. Coding was done using Visual Studio, and additional assets were created using AutoCAD, Blender and GIMP. The tomato got stuck to the ceiling. Everyone who came by our experiment was able to immediately start flying around by tilting the hoop, no instructions or explanation needed. It's actually much more natural and intuitive than I originally believed. Finish potential explorations and stay open to potential opportunities that make potential use cases! Programming, game logic, input UX. Programming, 3D Modeling, QA Testing, Project Planning, Level Designer. I helped create several of the models, including the maze and tower.